Owned by the adjacent Macedonia Baptist Church since the beginning of the 20th century, the Howell House was used as a parish house until 30 years ago when a former pastor chose to live at another location. The building has been vacant since that time and is threatened by its advanced state of deterioration, a threat made more imminent by a recent “Unsafe Structure” declaration by the local construction official. This wood frame vernacular house is a contributing resource to the Cape May National Historic Landmark district. It is particularly significant as a residence that pre-dates the fire that destroyed 30 blocks of Cape May in 1878 and led to the Victorian-era building boom that created the area’s still-celebrated late 19thcentury character. The Howell House was owned by prominent Philadelphia merchant George Howell throughout the second half of the 19th century. The house was likely built before 1850 but altered significantly during the 1880s with the addition of a full-width front porch, a central Gothic-style gable and dormers all aimed at giving the house an updated, Victorian-era appearance. Around 1909, when the neighborhood surrounding the Howell House was a thriving African-American community, George Howell donated his house and grounds, along with the adjacent lot, to the Macedonia Baptist Church. The congregation constructed a new church building on the adjacent lot and the Howell House became their parish house. Sometime after the construction of the church, the rear portion of the entire parcel was sold to the municipality for the construction of the Franklin Street School, a school for African-American children. The surviving school building is currently being restored by The Center for Community Arts, a local non-profit focused on Cape May’s African-American heritage. In 2002, previous church leadership attempted to sell the Howell House to a developer without the proper authority. The deal was determined to be illegal, but not before the developer had entered the building and gutted the interior. Following this unfortunate scandal, the current church administration, convinced that the house is worth preserving, reached out to an architect for assistance. The church has also been working recently with the Cape May Historic Preservation Commission to secure the property and repair its porch roof and floor. The Howell House is significant as an example of a pre-Victorian era residence in the overwhelmingly late 19th century Cape May historic district, and for its century of association with the Cape May African American community. Its situation is also demonstrative of a basic, yet prevalent, threat to all historic buildings: demolition by neglect. Buildings cannot maintain themselves, and must be properly cared for in order to survive. Without that care, deterioration can quickly imperil a landmark. The Howell House has the potential for a bright and long future, but the house must be stabilized and put back into use as soon as possible. While the change in church leadership has allowed the current congregation to make saving the Howell House a priority, money is an issue for the small congregation. The members have done some fundraising, including a Sunday breakfast that is well-supported during the summer season, and their diverse congregation is growing, but they have a long way to go. 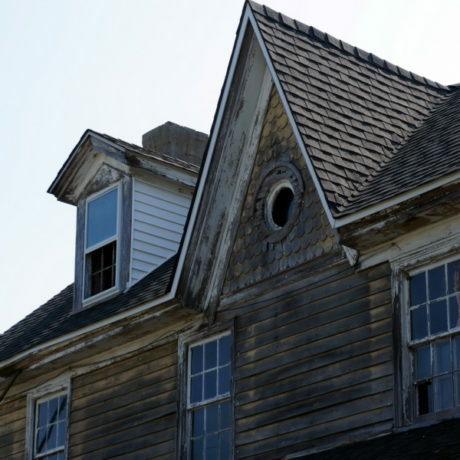 PNJ encourages the congregation to continue to work with invested parties, and use the determination that the building is unsafe to galvanize increased support for their efforts to save this important piece of Cape May’s history.